The International Society for Krishna Consciousness (ISKCON) Temple is located at Raja Dhirshain Marg at Sant Nagar, near the East of Kailash. 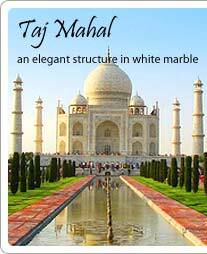 It is among the 40 temples in India built by ISCKON in the honor of Lord Krishna. This marvelous temple located amidst lush green gardens and houses the beautiful deities of Sri Radha Krishna Parthasarathi, Sri Gaura Nitai, Sri Rama, Lakshman and Hanumana. This elegant temple was built in 1988 by the followers of ‘Hare-Rama Hare-Krishna’ cult which was started by Acharya Bhaktivedanta Swami Prabhupada. This temple is known for its fine architecture having an air-conditioned hall that can hold as many as 1,500 people at once. The beautiful decorated temple ‘Shikhara’ rising to a height of 90 feet above ground which can be seen from distant. The fine art paintings by Russian artists in the hall here depict lives and events related to Hindu mythological characters, like Radha-Krishna, Sita-Ram, Laxman, Hanuman and Chaitanya Mahaprabhu. The main attraction of this temple is its central prayer hall and the temple museum. This hall houses some magnificent idols of Radha-Krishna, other deities along with informative religious lines and shibboleths. 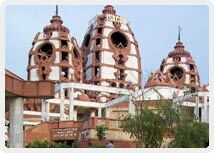 Another attraction of ISKCON Temple is the temple museum. This museum organizes multimedia shows, which tell the story of Ramayana, Mahabharata and give a brief interpretative understanding of views, philosophy and practice of the Hare Krishna cult. The festival of Janamashtmi (the birth of Lord Krishna) is celebrated here at a large scale which calls on scores of tourists as well devotees from several parts of the globe. The temple remains open in the morning from 4.30 am to 12.00 pm and in the evening from 4.00 pm to 9.00 pm. Religious programs like Kirtan, Aarti, and sermon are held in the temple complex regularly. Museum shows are organized in the evening at nominal charges on all days except Monday.